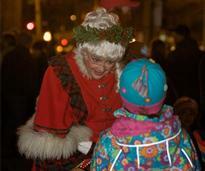 Celebrate the magic of an old-fashioned Victorian Streetwalk and Christmas in Saratoga Springs on Thursday, November 29, 2018! Each year on the Thursday after Thanksgiving, downtown Saratoga closes to traffic and all of Broadway is blanketed in Victorian holiday magic for the annual Saratoga Springs Victorian Streetwalk. All types of entertainers will be working the crowds at the Victorian Streetwalk - check out the schedule. 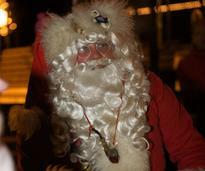 See Santa up close and personal at his special Saratoga cottage! See the schedule of when he'll be in town. It wouldn't be Christmas without carolers! 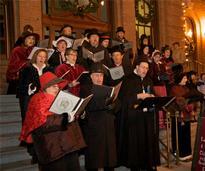 Victorian-style carolers will stroll the sidewalks singing. 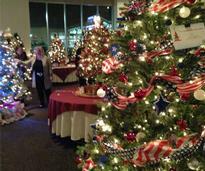 Don't miss the Saratoga Festival of Trees, featuring dozens of beautifully decorated trees, wreaths, and swags. 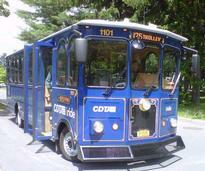 CDTA is running free shuttle buses every 20 minutes from 4:30pm to 10pm: Saratoga Indoor Ice Rink Weibel Avenue (drop off/pick up corner of Caroline Street and Maple Avenue), Empire State College West Avenue (drop off/pick up Woodlawn Avenue at the parking lot), NYRA lot Nelson and Union Avenue (drop off/pick up at parking lot between Spring Street and Phila Street), and National Museum of Dance (drop off/pick up at parking lot 99 South Broadway).